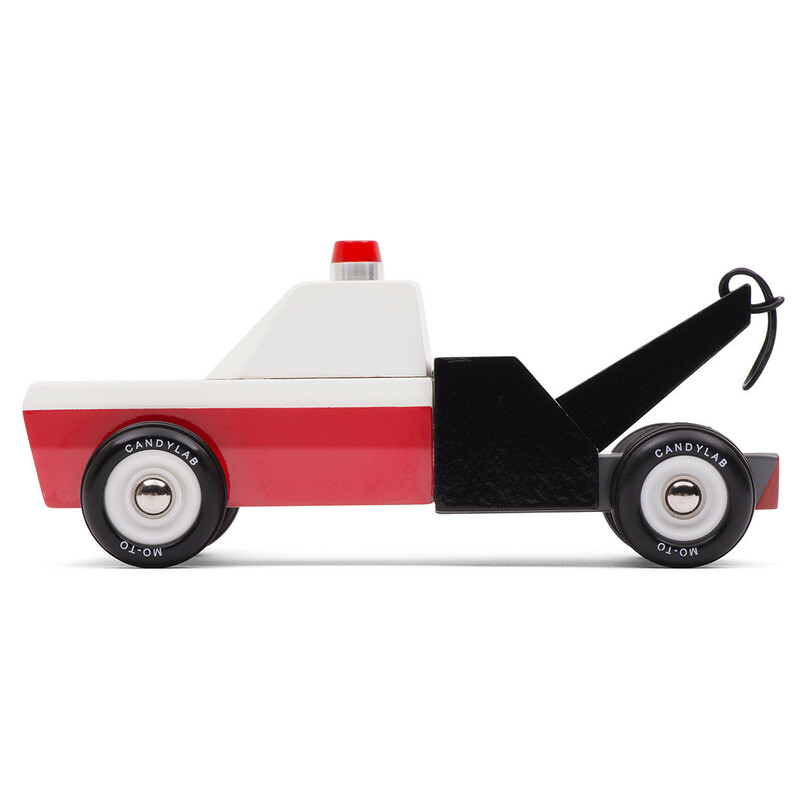 Candylab Toy Cars are classic vintage styled toys that throwback to simpler times. 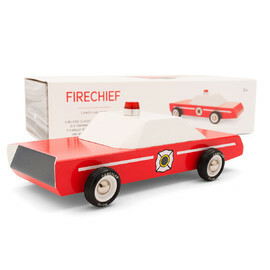 Towie, as it is affectionately known, is a staple of every garage, being the hero of the day when cars need to be rescued. 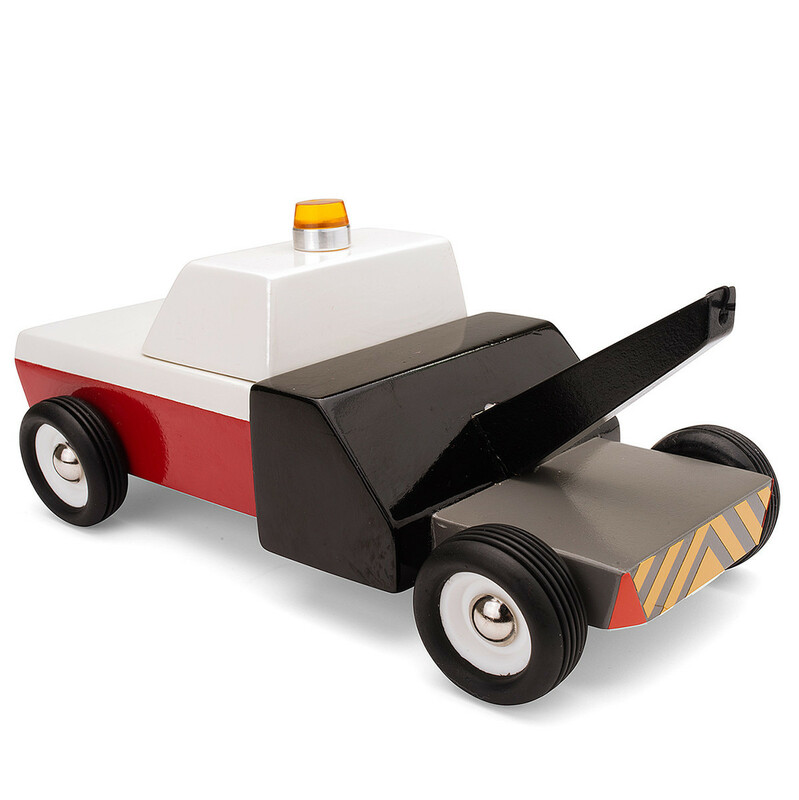 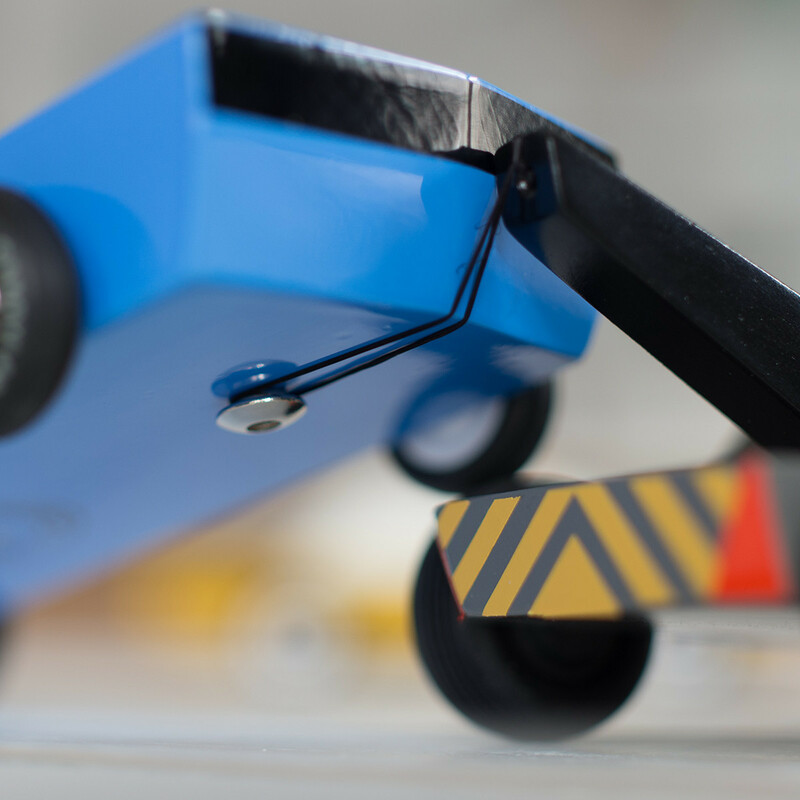 Little boys will enjoy hitching cars up to this super cool tow truck with it’s rubber band that hooks to the underbelly button of most Candylab cars. With its hot red and white paint job and emergency light, Towie is the coolest tow truck on the block. Candylab cars sport elegant proportions reminiscent of iconic 1960’s automobiles, complex carving details and perfectly smooth rubber tires. 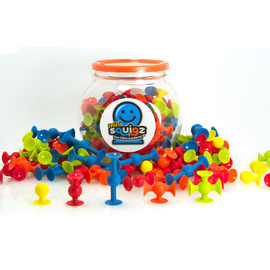 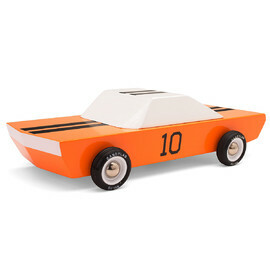 Towie is a toy car that will spark imaginative play for hours or have pride of place in Dad's Mancave. 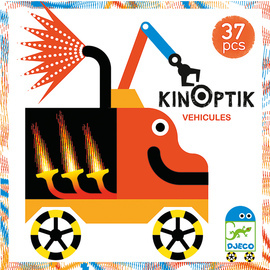 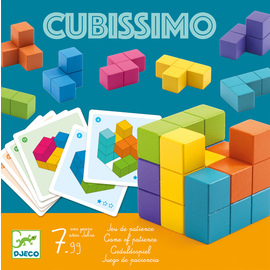 Great for imaginative play and role play. 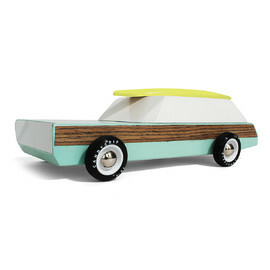 Candylab Toys was born out of a desire to revive the glamorous '60s American modernist vibe and carve it into awesome contemporary wood toy designs that are reminiscent of times past. 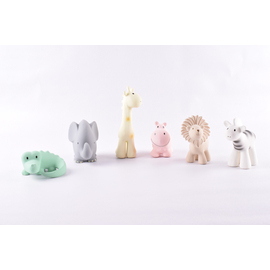 With the goal of creating a line of toys that would be ecologically sustainable and emulate the craftsmanship of mid-century artisan furniture designers, Candylab created a line of heirloom wooden toys that are elegant, durable, and simple. 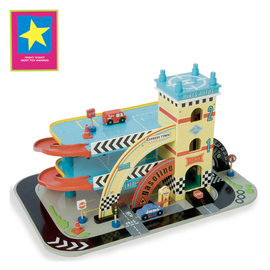 Described by reviewers as ‘Old Skool Cool’ the Candylab offering is likely to become highly collectible since dads and their little boys will both love to have these cool cars in their collection or man cave. 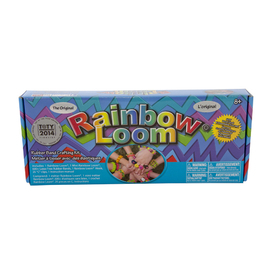 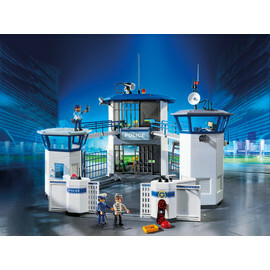 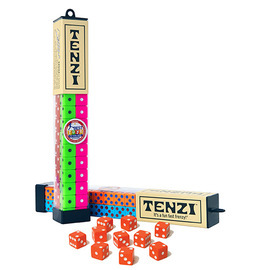 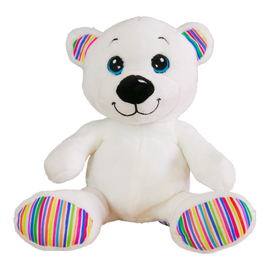 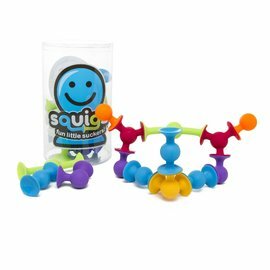 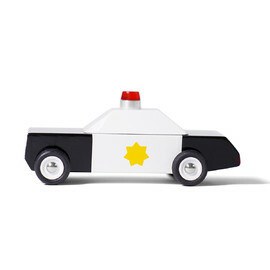 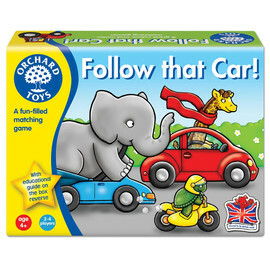 Kids will love role playing with these well-made toys indulging their imagination and fine motor skills.